The history of Twillingate is wide in it’s scope and deep in its merit – from 3500 year old archaeological finds to more modern imprints in the history books. 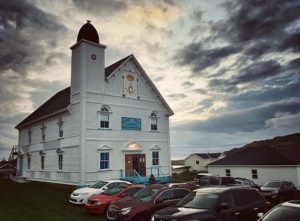 As one of Newfoundland’s most high-trafficked sea ports Twillingate was home to fishing schooners crowding the town’s wharves with ships arriving from countries all around the world bringing supplies and exporting fish. 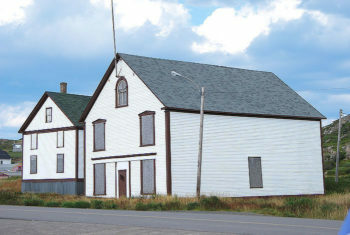 The historic buildings of Twillingate are maintained with care to preserve the memory of the importance they held in the town’s past. The congregation of St. Peter’s can trace its history back as far as 1814, when a request for a minister was sent to the Society for the Propagation of the Gospel in Foreign Parts. In 1816, Rev. John Leigh, the first resident minister, arrived in Twillingate. A church building had already been started and was eventually consecrated in July, 1827 by the Bishop of Nova Scotia, The Right Reverend John Inglis. By 1838, it was decided to build a new church and in 1839 the foundation was laid. On December 11, 1842 the first service was held and the church was consecrated on July 3, 1845 by Bishop Field. 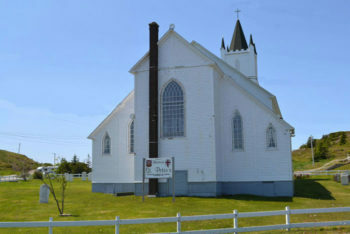 St. Peter’s Church is one of the oldest wooden churches in Newfoundland and is patterned from St. James’ Church in Poole, England from where the chandeliers were purchased. The bell was purchased by the people of all religious denominations as a Thanksgiving for the great seal harvest in the spring of 1862. The bell bears the inscription, “In memory of the Great Haul, 1862”. The bell rang for the first time on December 25, 1863. The pipe organ, which is used today, was erected in 1897 and was hand blown until an electric blower was installed in 1963. St. Peter’s Church also has five stained glass windows given in memory of its forebears. 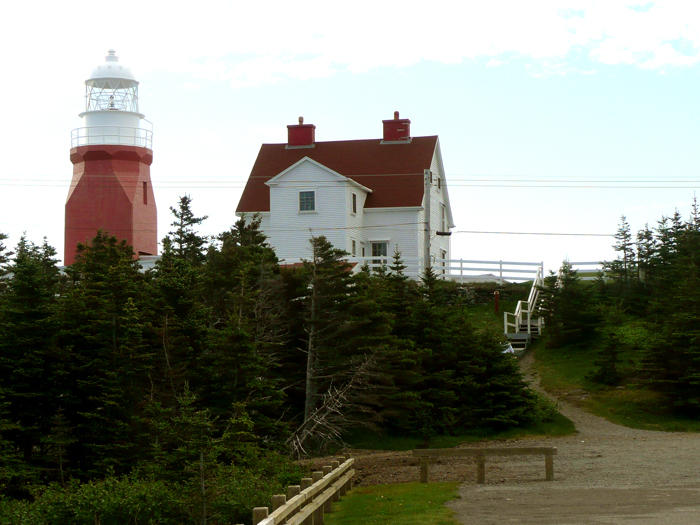 Since 1966 the Women of Twillingate have been striving for change through personal growth, communication and education. 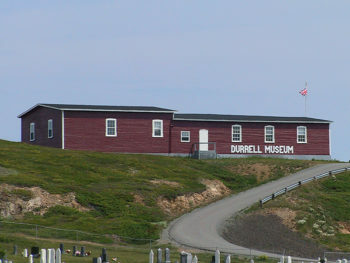 Initially the Women’s Institute was called the Jubilee Guild who made clothes for the victims of the Newfoundland Tsunami of 1929 which devastated the Burin Peninsula. Eventually they joined the Federated Women’s Institutes of Canada (FWIC). Every summer during the Fish, Fun and Folk Festival the Institute hosts an old fashioned afternoon tea to raise money for the maintance of their lovely building. 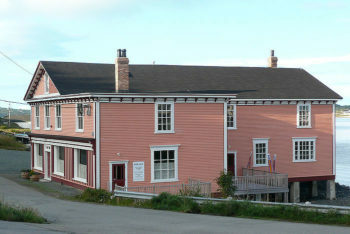 The Women’s Institute Building is the oldest building on Twillingate Island. Watch this video from the Digital Archives of Memorial University from 1975 that illustrates the Institutes’s importance in the community. 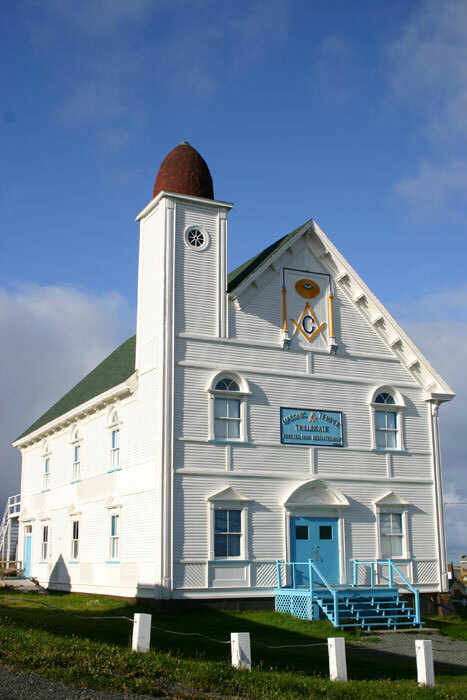 Twillingate Masonic Lodge was constituted 1889 under the Grand Lodge of England by Wor. Bro. Walter C. Sharpe, W.M. Twillingate’s Masonic Hall, recognized by the Heritage Foundation of Newfoundland, was constructed in 1906. It’s most striking feature is its offset tower with an almost egg-shaped dome. The eaves of the building are heavily bracketed, and the facade is decorated with an elaborate Masonic insignia. The design of the building’s windows are also of interest, as the window trim on the first and second storeys are different, the upper level featuring curved arches, and the lower level featuring triangular pediments. 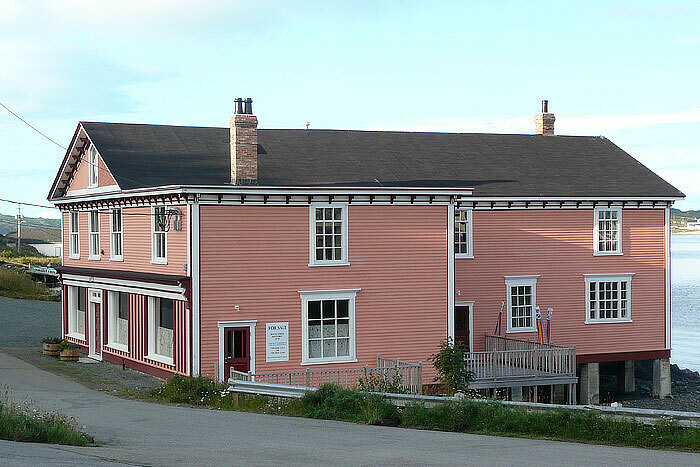 The Asbourne Premises, which is a Registered Heritage Site is a group of three wooden buildings from the early 19th century, a Mercantile Shop, the office and a longhouse, which were constructed in the early 1800s. 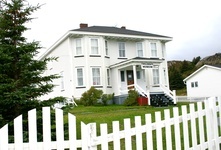 According to Parks Canada, it is one of the oldest surviving private residences in the province. This wonderful building was initially a retail store, that was said to have been in construction in 1888, but it’s known to have been completed in 1914. The Hodges were part of a merchant family, originally from England, who shipped dried fish, seal oil and pelts on their own schooners back to England. Hodges remained in business until the early 1960’s. Completed in 1907, the Orange Lodge was names Alexandra Hall (for Alexandra of Denmark (1844-1925)). By the 1930’s the Orange Logde had almost 400 members. It was used for during the confederation debates of the 1940’s, and housed patients during the hospital fire in 1943. Today the hall has been given the name Touton House and is used for theatre and musical performances.